For many writers, idea generation is the fun part! 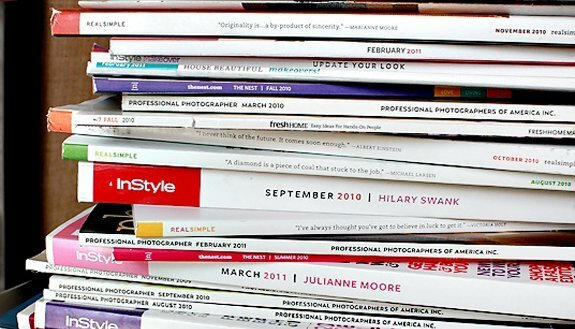 Since this is a freelance-writing FAQ, I thought I’d shed some light on a few ways that I come up with article ideas for magazines and website clients so it can help you brainstorm new topics. If you want to learn how to get started freelance writing, enroll in my course on Teachable and discover 10 lessons that will set you up to make great money freelancing. 2. Get out of New York City (or wherever you live). As a writer for magazines and websites, it’s easy to think that my daily struggles, complaints, and curiosities are relevant to everyone. I find that when I go home and talk to family and friends who live in other cities and suburbs–and whose lives are vastly different from my own–I get a ton of ideas. I love traveling to new states and countries to get different perspectives as well. Talking to my parents’ older neighbor a few months ago about his recent health issues sparked inspiration. Hearing family talk about the common and uncommon problems that crop up when owning a home (or a car) or what they do with their free time helps me keep these considerations in mind when coming up with ideas for national audiences. This also helps when big city dwellers like myself tend to be on the cutting edge of trends with fitness, food, beauty, fashion, and business, but when I talk to friends, family, and new people I meet, I realize some trends are too far-fetched or expensive to catch on (at least for a few years) in other areas of the country. Learn how to grow your freelance business in 15 minutes. I like to look at EurekAlert.org for embargoed science news that’s coming out in the coming weeks. I also appreciate when PR contacts at various organizations I work with tell me something a client has coming up in the near future, or gives me a head’s up about a study that will be released to the public in a week or so. I also get ideas for longer-lead stories when I look at Amazon.com and check out books that will be published six or more months from now. 5. Stay in touch with sources. When on the phone with a source for an article, I like to ask if there’s anything new they’re working on, like a book, an app project, or a concern their clients keep bringing up to them, or something they came across recently that surprised them. Oftentimes, that little nugget of information will be useful in the article I’m interviewing them for or trigger a new idea. Where do you get your blog, article, or content marketing ideas from? Learn more my ffreelance writing course and what students have to say here.